Microsoft’s blog editor Windows Live Writer has been revived with an independent open-source fork, Open Live Writer. OLW’s first release allows you to create blog posts, add photos, videos, maps or more, and publish them to your website. The program supports various blog services, including WordPress, Blogger, TypePad, Moveable Type, DasBlog and more. Licensing and other issues means the development team has dropped some of the old Live Writer features. Spell Check has gone for the moment, the Blog This API has been ditched forever and the OneDrive "Albums" feature has also disappeared. The good news is that the team is "actively working on supporting plugins", and as soon as that happens we should see third-party developers filling any gaps in functionality. 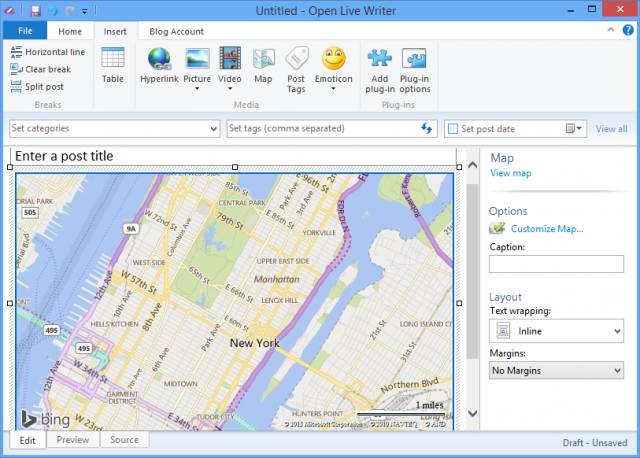 Open Live Writer is an open source application for Windows 7 and later.